Started off the day being totally lazy and not actually getting out of my Lounge pants all day. We watched loads of CSI. 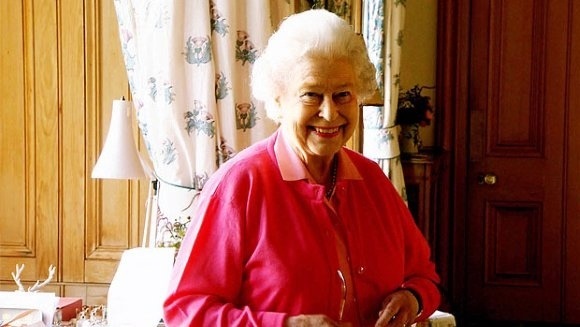 But today was only about one programme…and that was “Our Queen” on ITV HD tonight. This, the first proper documentary with proper access to Her Majesty to be made in over 20 years, followed a year in the life of Our Queen. The added advantage of this was that it was 2012…a year chock full of patriotic goodness, from the extravagant Golden Jubilee weekend, through to the Olympics which captured everyone’s hearts. It’s safe to say that 2012 was the year I was most proud to be British. The Queen’s 60 year tenure on the throne has been a historical one. But one thing I always tend to feel sad about when I think about the monarchy is that first day or so…you’ve just had your father/mother pass away and all of a sudden, you’re in charge of the country…it must be a very strange experience. The British monarchy can get a lot of stick, but I think it’s one of the most traditional and heartwarming things about our national and long may it be the case. The documentary was a good intimate look into the life of The Queen. We saw her cushion in Balmoral which says simply “Its good to be Queen” and also the reaction of people close to her following that moment at the Olympics when she stunned us all by appearing in a scene with James Bond! This entry was posted in Uncategorized and tagged CSI, The Queen. Bookmark the permalink.